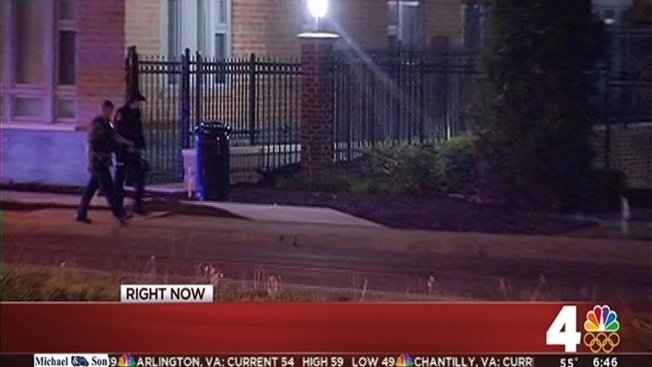 The Potomac Yard area of Alexandria is returning to normal Thursday morning after police say a man they believed was barricaded inside a home was found not to be inside. Police entered the home on East Reed Avenue Thursday morning and found the suspect was not inside. The situation began nearly eight hours earlier when a man inside the home fired a shot at a family member. Police believed the man was still inside the home, and worked for hours to make contact. Loud noises were heard in the area as officers used flash-bang technology Thursday morning in an effort to reach the suspect. Police announced they were breaking down the scene just before 6:30 a.m.
UPDATE: Residents in area of E Reed may hear loud noises, those are being produced by APD Special Operations Team.